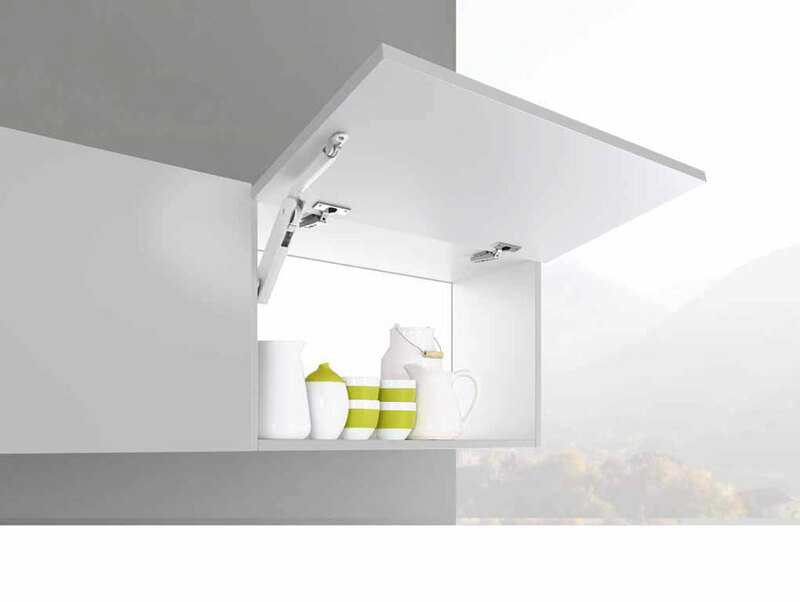 The new three-phase system that characterizes the Convoy family contributes decisively to an optical, functional and quality revaluation of the interior of the kitchen. 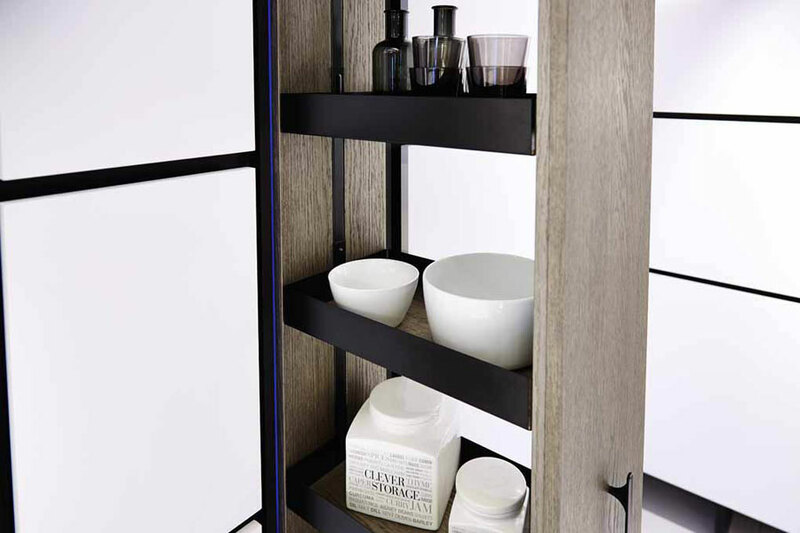 The foundation of this set-up system creates the opportunity to configure costumized shelves with "Lavido" and "Premio". 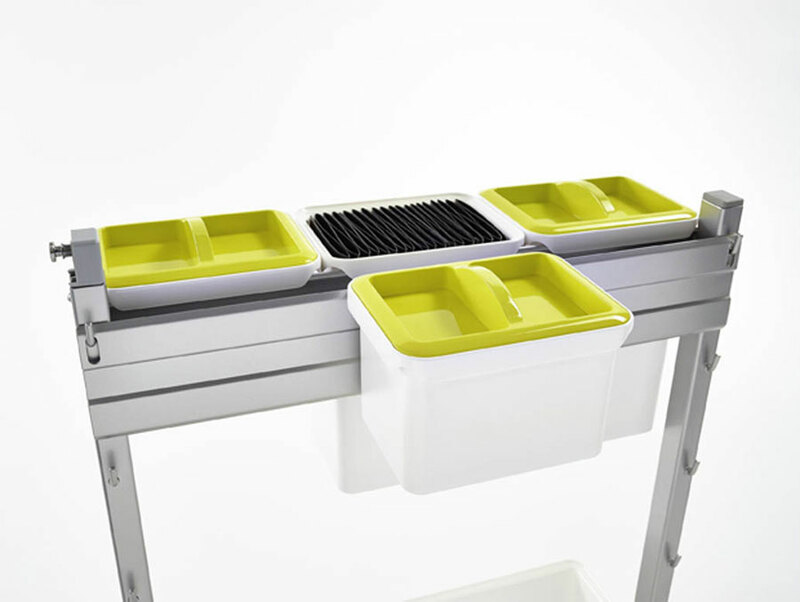 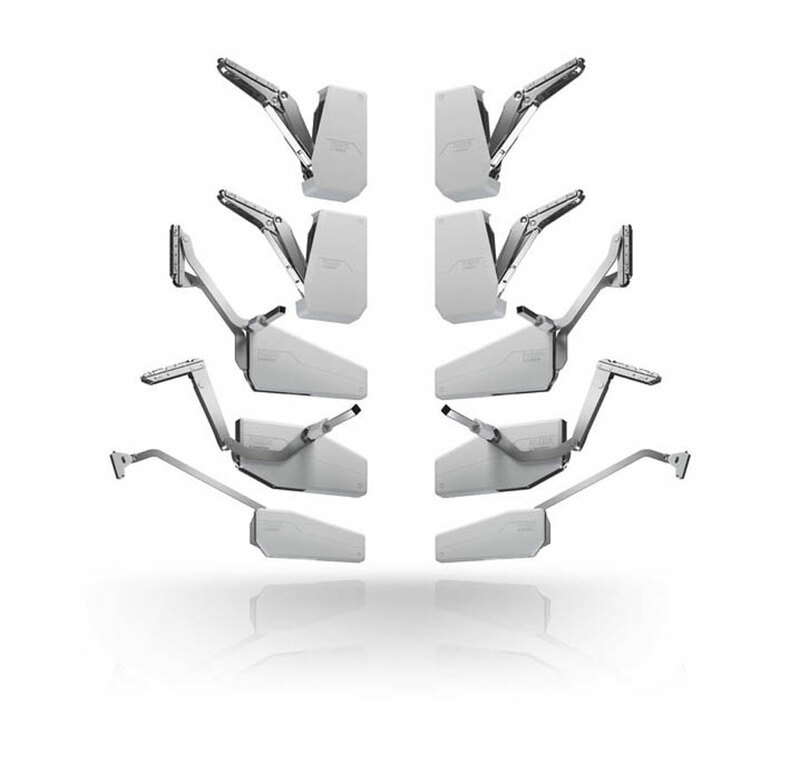 Different elements can be configured in a customized way in color, surface, material and functional equipment. 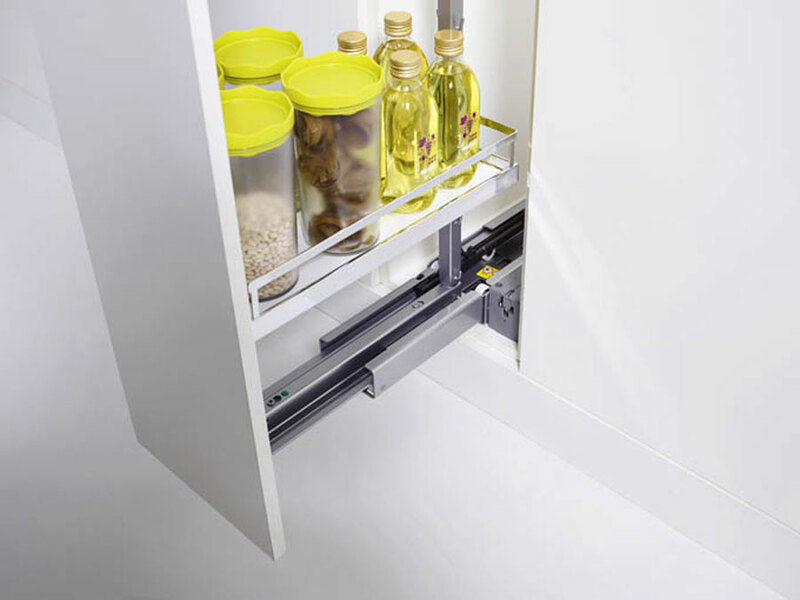 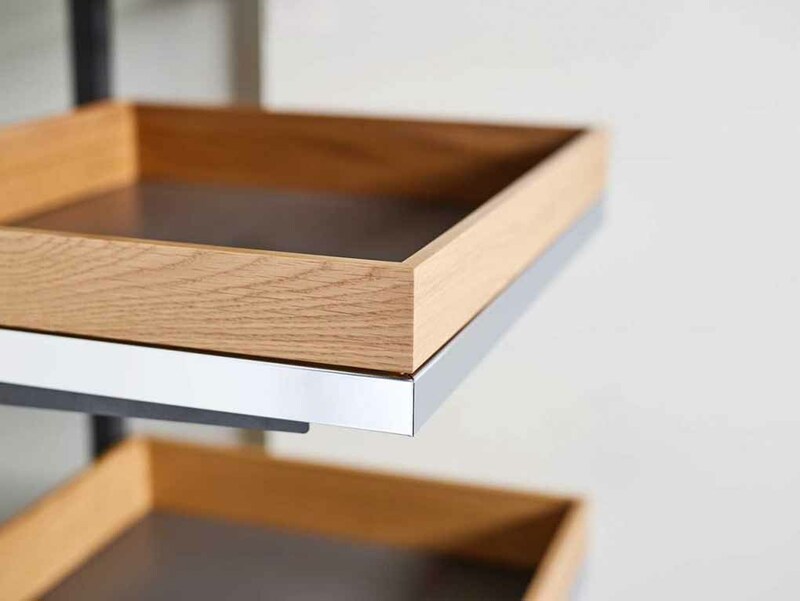 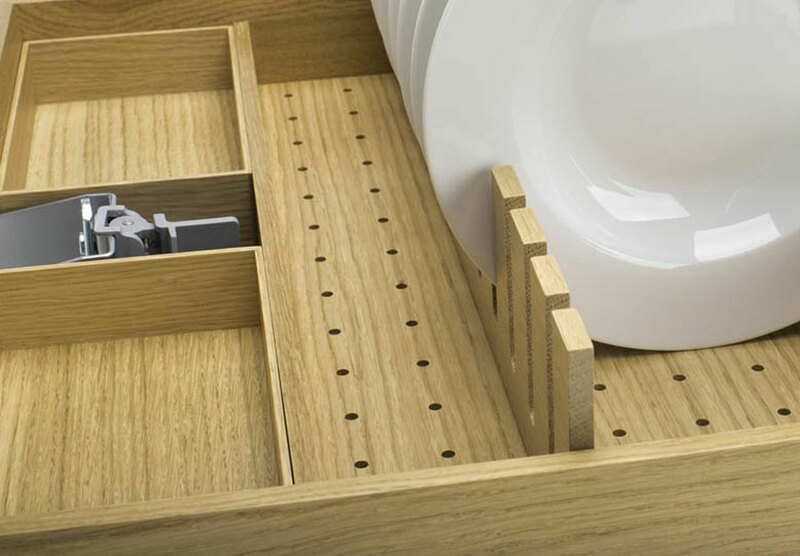 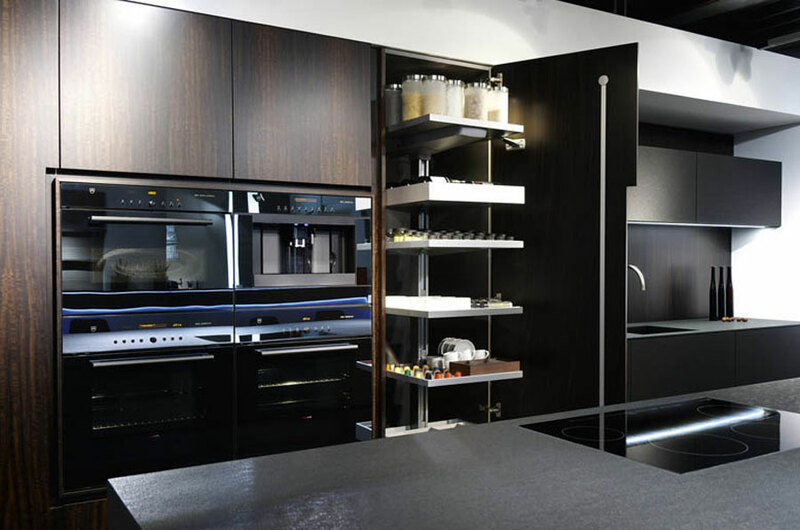 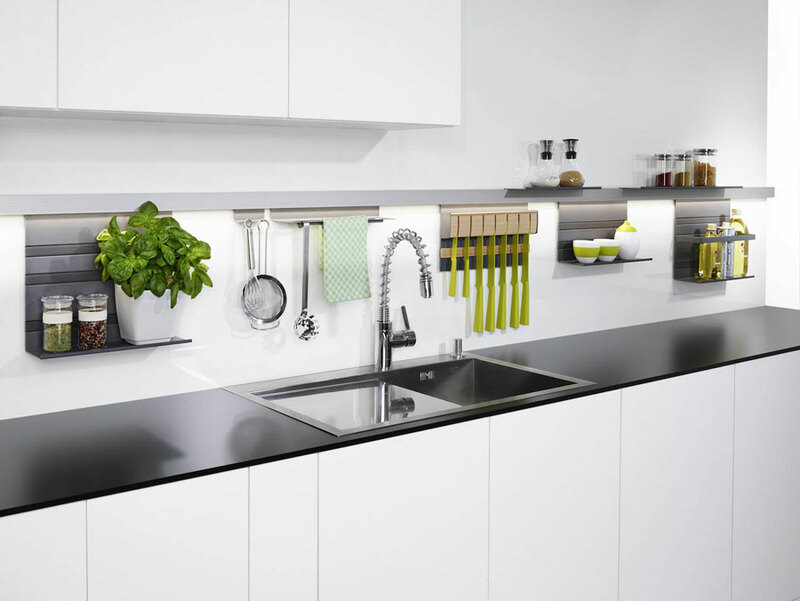 Renowned German kitchen producers have already used this innovative modular system that turns the interior of a cabinet giving it a new identity and functional sophistication. 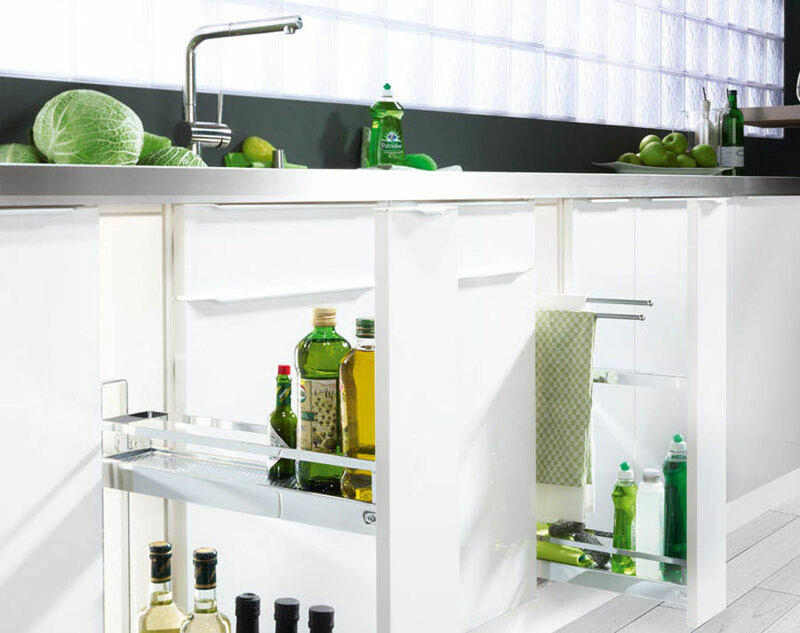 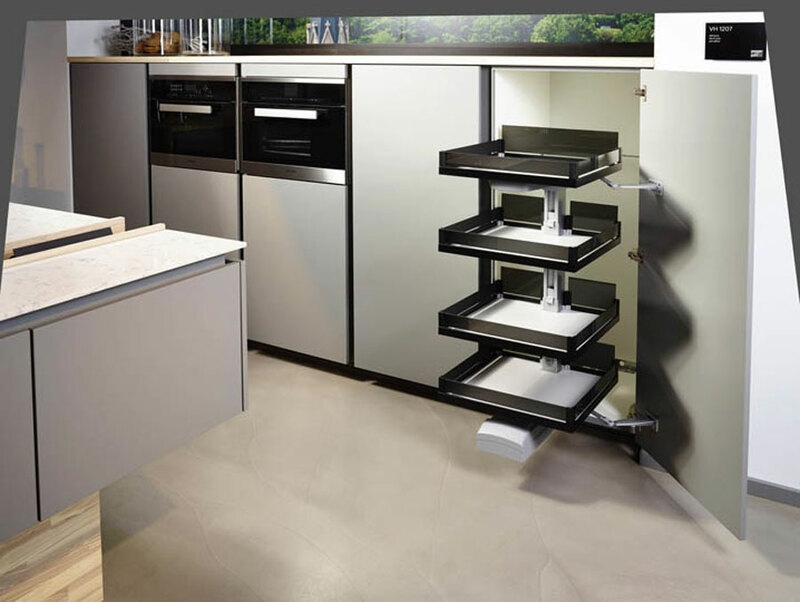 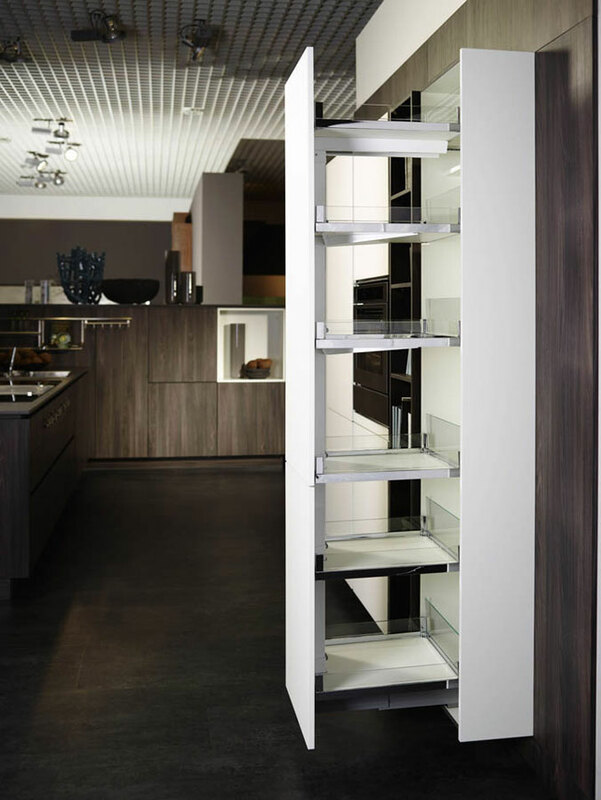 The Convoy systems have always fascinated for their mix of high quality and in step with times materials: the shelves with white bottom plate are coated with a railing of polished chrome with a glass strip and insertion corners in polished chrome. 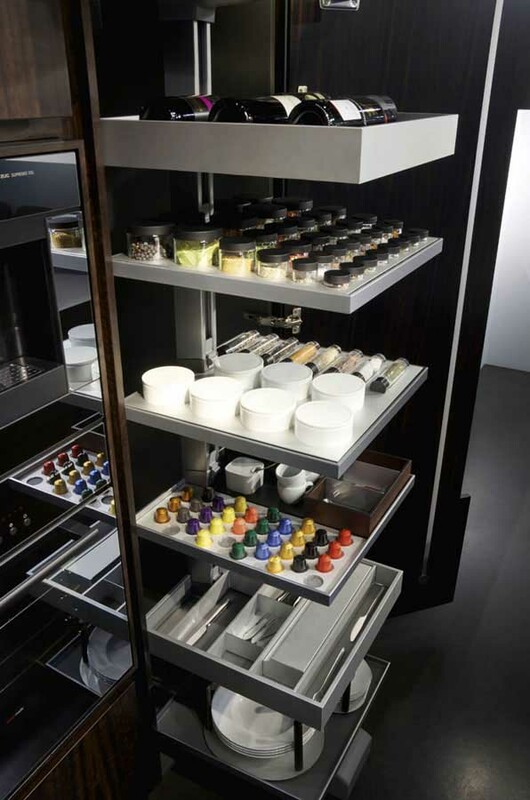 Convoy offers producers the opportunity of extremely variable custom configurations. 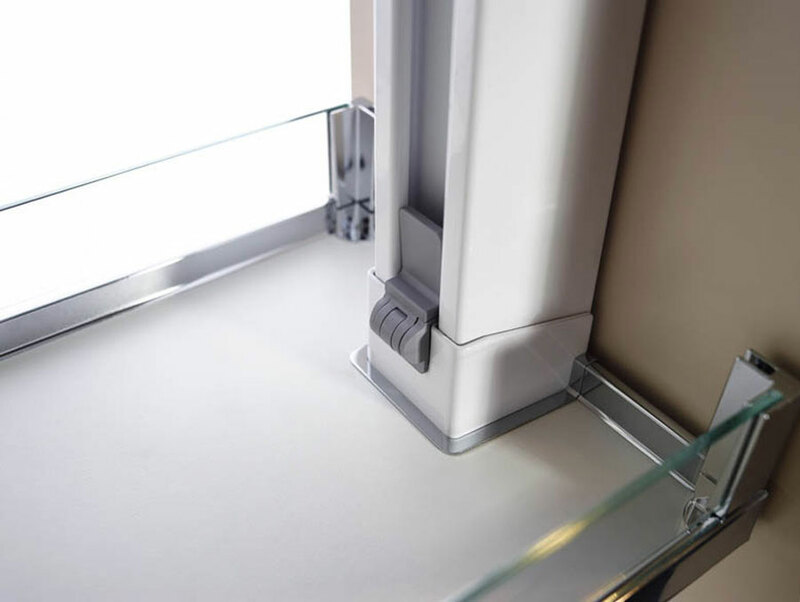 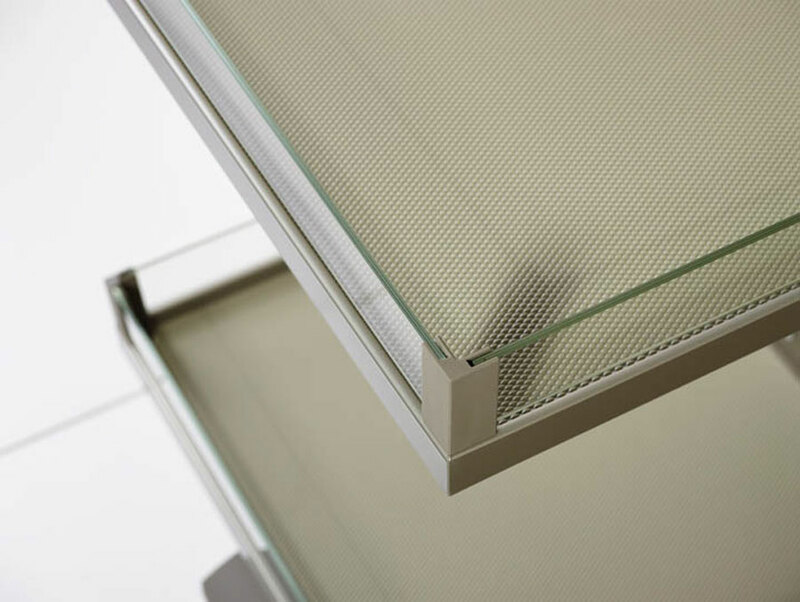 The free combination of colors and materials in the bottom plate, in the railing, in the profile of the frame and in the insertion corners, offers almost endless combination possibilities.